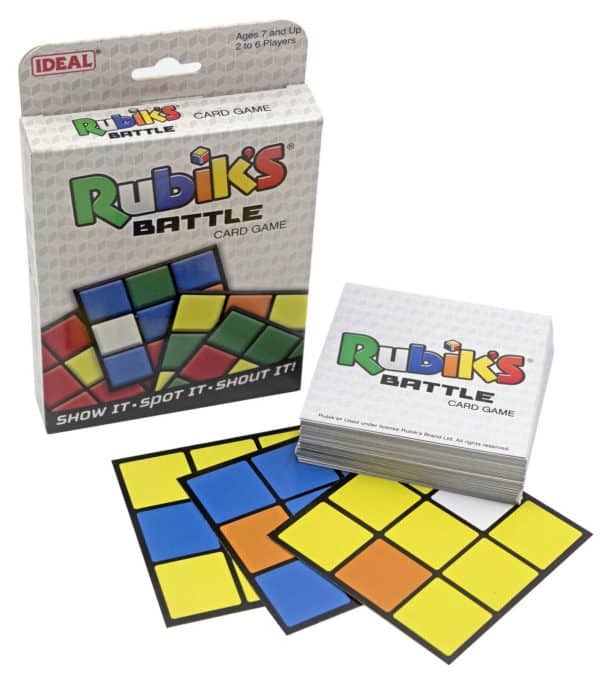 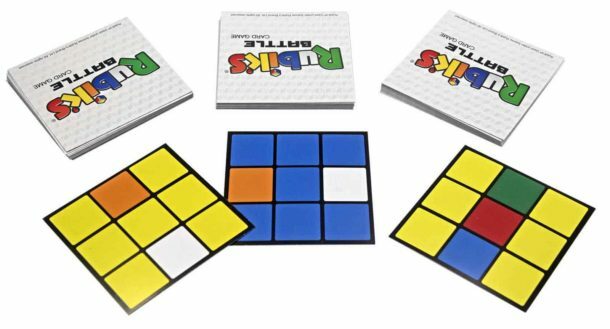 Rubik’s Battle is a quick-thinking, fast-action card game. 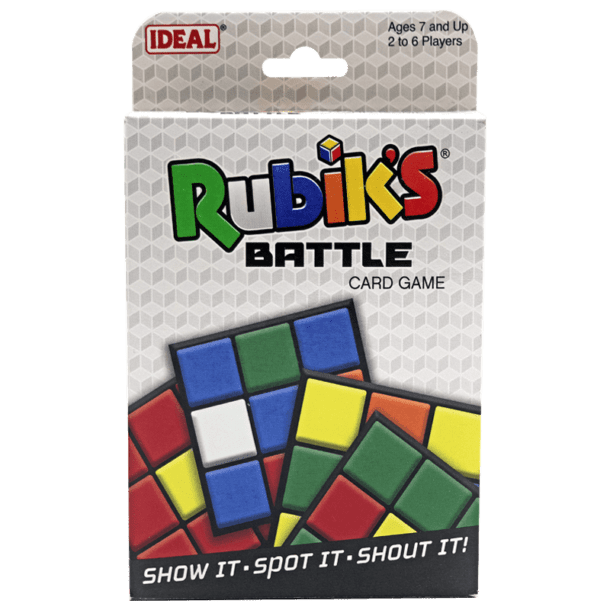 Deal out the cards and each player flips over their top card. Be first to spot a unique colour match and win the cards. Collect all the Rubik’s Battle cards to win!